Danielle Wood is a versatile writer of fiction and non-fiction, books for adults and books for children. Her first novel was the Vogel Award-winning The Alphabet of Light and Dark, and she has written two books of fairy-tale themed fiction – Rosie Little’s Cautionary Tales for Girls and Mothers Grimm – and the biography Housewife Superstar: the very best of Marjorie Bligh. Her work is published abroad in the USA, Italy, Russia and the Netherlands. Twice named a Sydney Morning Herald Best Young Novelist of the Year, Danielle teaches writing at the University of Tasmania and regularly contributes to Australian literary publications such as Griffith Review and Island. 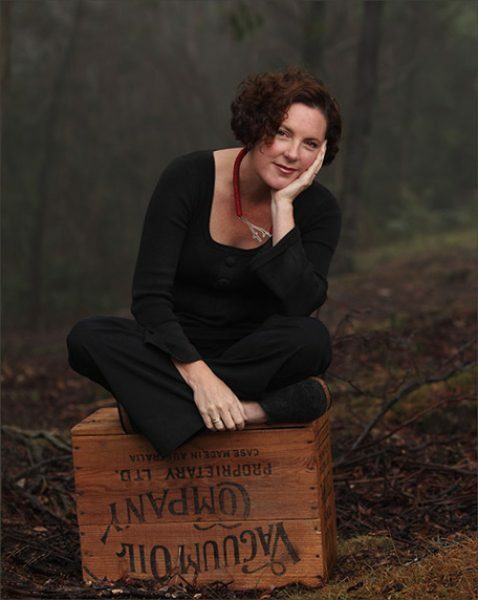 Along with Tasmanian writer Heather Rose, Danielle is ‘Angelica Banks’, author of the Tuesday McGillycuddy Adventures for children. The trilogy – comprised of Finding Serendipity, A Week Without Tuesday and Blueberry Pancakes Forever – is published in the USA and Germany. Danielle lives in Hobart and teaches writing at the University of Tasmania. Find her online at www.daniellewood.com.au.